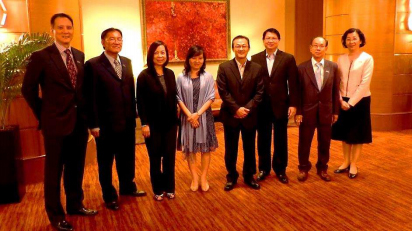 The 2nd ASEAN DSAs Presidents Meeting was held on 14th March 2013 at Prince Hotel Kuala Lumpur. The meeting was chaired by DSAM’s Vice President, Sam Cheong. Among the participants at this meeting were Melisa Quijano (WFDSA Asia Pacific Association Advisory Council), Joey Sarmiento (Direct Selling Association of Philippines [DSAP]) and TramHa (AmCham VietnamDirect Selling Committee [AVDSC]). One of the decisions made during this meeting was the proposal to formalise the group with the Secretariat being rotated. DSAM shall forward a draft Constitution to all ASEAN DSAs for their feedback. suggestions. These inputs shall form the synthesis of a Blue Print for the Group. The next meeting shall be held in September 2013 at a venue to be decided.